In 1967, Sol Shenk opened Consolidated Stores Corporation in Ohio. The company’s first closeout store opened in 1982 named Odd Lots. 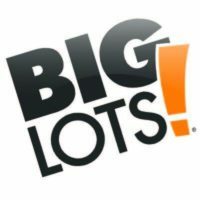 Since another company was using a similar name, Consolidated Stores Corporation decided that only stores in a certain area would stay as Odd Lots, but all other stores would be Big Lots. You can find the Big Lots application link below. All Odd Lots store were eventually renamed, and now, the business holds more than 1,400 stores in 48 different states. The company’s headquarters is still located in Columbus, Ohio. The company is publicly traded on the New York Stock Exchange under the ticker symbol BIG. Although the business expanded to Canada in 2011, it moved out of the Canadian market in 2013 due to large profit losses. As part of the closeout store industry, the business model for the company allows for a lot of products in each store, with many that will never return. The stores sell furniture, food, beverages, clothing, toys and housewares. The quick turnover helps keep customers frequenting the shops to find new items. The stores also have a rewards program that customers can utilize to get the most out of being a Big Lots shopper. The Buzz Club Rewards members are invited to special VIP shopping events, they receive special discounts and they get advanced notice of great new items that can be found in the stores. Big Lots careers range from hourly associates to corporate positions. Corporate positions include jobs in purchasing and buying, information technology, content coordinator and analysis. These positions typically require more experience than in-store positions and some warehouse positions. Those who wish to hold a corporate position with Big Lots must be able to work in Columbus, Ohio, at the headquarters. In-store and warehouse jobs are also available in many locations. These job opportunities may be either part- or full-time. Positions in the warehouses and stores may be entry-level or managerial. Managerial Big Lots careers can be store manager, production manager and assistant store manager. Hourly positions are store associate and cashier. How old do you have to be to work at Big Lots? You must be at least 16 years old to start working Big Lots jobs. Stores are open from 8 a.m. to 9 p.m. Monday through Saturday. On Sunday, the store has slightly reduced hours, opening at 9 a.m. and closing at 7 p.m. The company offers its employees benefits, such as medical, dental and vision insurance. The company also provides life insurance for its eligible employees. There are other incentives to working Big Lots jobs, including vacation time, education assistance and 401(k) retirement plan options. Employees also get paid holiday time off and short- and long-term disability. Store Manager – Employment opportunities as a store manager aren’t as popular as other store positions, but these jobs carry the most responsibilities, including interviewing and hiring potential new associates, maintaining payroll duties and creating work schedules. Managers are the associates who implement promotions and set sales goals. Managers can expect to make a salary up to $55,000 a year. Cashier – At Big Lots, cashiers run registers, help customers find merchandise and greet customers. Cashiers should have good interpersonal skills and be able to work quickly and efficiently. Cashiers need to be able to stand for extended periods of time and might be required to do a small amount of heavy lifting. These positions start pay at minimum wage. Store Associate – Store associate careers require employees to stock shelves, unload trucks, display merchandise and help cashiers. A career as a store associate requires someone who can lift heavy objects and communicate politely and effectively with customers and other associates. These jobs start out paying around $8 with the ability to make up to $9 per hour. Production Manager – As a distribution center employee, production managers help with hiring, training and conducting performance reviews for employees at the warehouses. This position requires knowledge in logistics and between three and five years of experience. Production managers need to be able to analyze and create reports and assist other associates within the warehouse. Can you tell me a little about yourself? This question is designed to see what each applicant is like. This allows the interviewer to get to know each interviewee in a short amount of time. When you answer this question, however, you should keep it short and sweet. Why did you apply for jobs at Big Lots? When you decided to apply for the position, you must have had a reason. You should tell the interviewer why you thought you would be a good fit for the position and the company. What previous experience do you have? While not all positions require experience, some will. Even if a position doesn’t require experience, experience can always help you land a position. If you have previous experience that you wish to tell the interviewer about, make sure that it is relevant in some way. Managerial applicants should expect to answer stricter questions, such as, “How much experience do you have as a manager?”, “What is your management style?” and “Why do you think you would be a good manager for our company?” These questions are designed to help the interviewer determine who the best managerial applicant is for the company. There are a few different ways that interested applicants can apply at Big Lots. You can browse open Big Lots jobs online and read the job description for each position. If you wish to apply online, you can fill out an online application. This should be a direct application, and you can include your resume. The website will walk you through how to apply for Big Lots online. If you wish to apply in-person, you can go into a local store to request a free application. You can also find the printable application for Big Lots. If you get a printable job application or if you choose to download application form, you can fill out the application on your computer and print it off so it looks nice and neat when you turn it in. Keep in mind that it will take hiring managers a few weeks to review all the applications. If you haven’t heard back within three or four weeks, you can call to inquire about the position. If you fill out the Big Lots job application online, it might take a little long for your application form to be reviewed. After you fill out a Big Lots application, you should do a little research on the company to be fully prepared if you are called in for an interview. You should also prepare for your interview by finding the correct interview outfit. Men should wear slacks and a button-down shirt. Women can wear a length-appropriate dress or a skirt or slacks with a nice blouse.